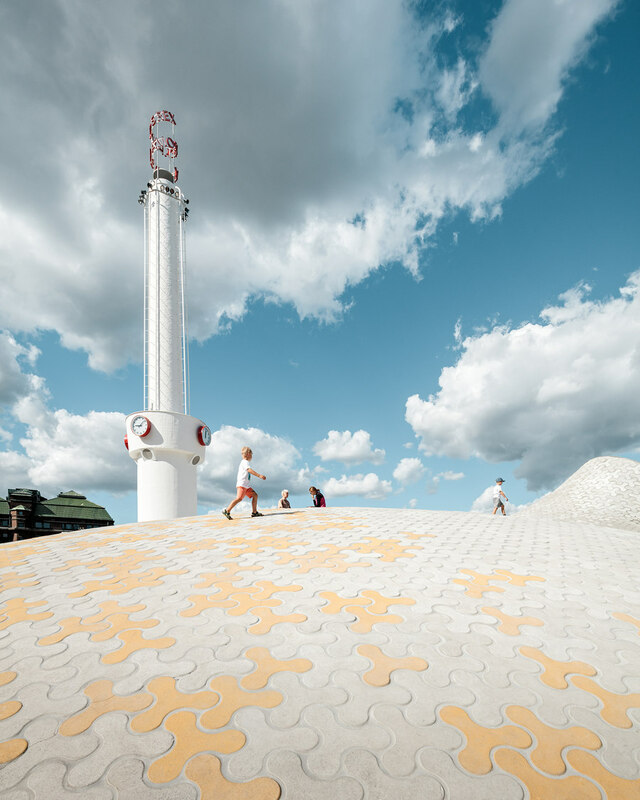 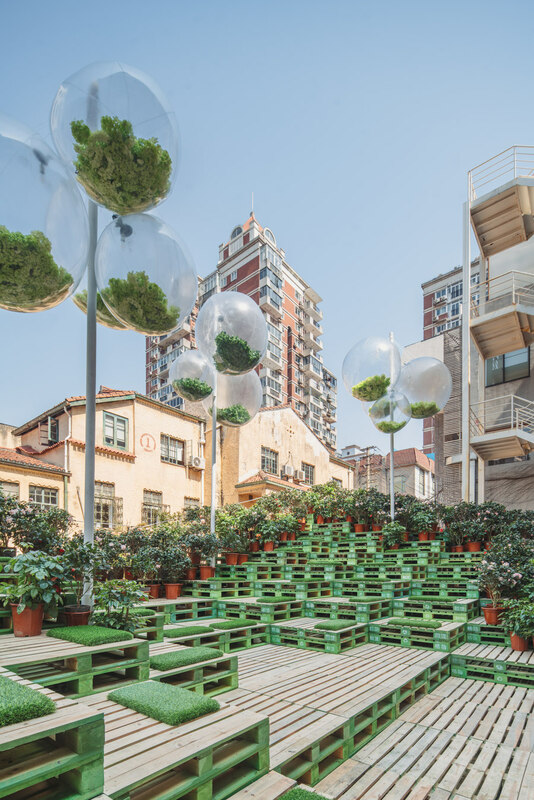 Public spaces – whether designed as part of a building project, or as standalone interventions in existing urban tissue – are becoming ever more varied. 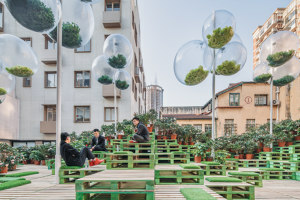 And although the emergence of pop-ups means that cities have started to recognise the value of flexible meanwhile use and temporary events, more traditional forms of public space still abound. 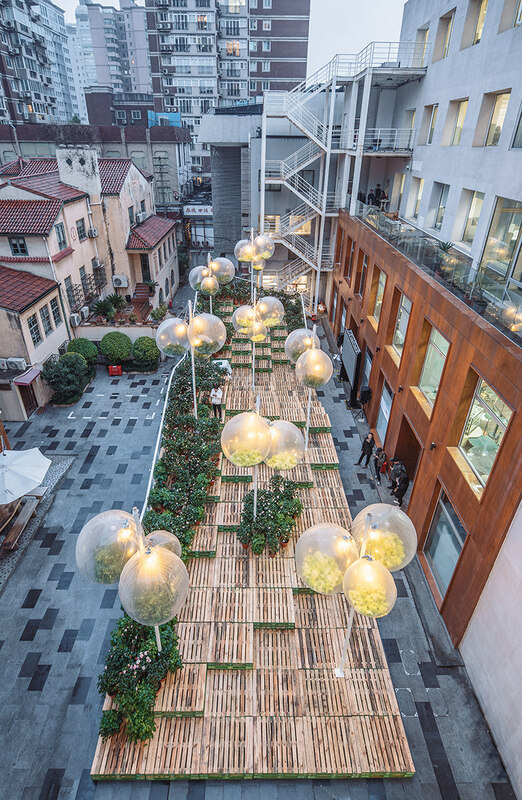 Urban Bloom, a public space intervention in a Shanghai courtyard by AIM Architecture and URBAN MATTERS, belongs squarely to the former category. 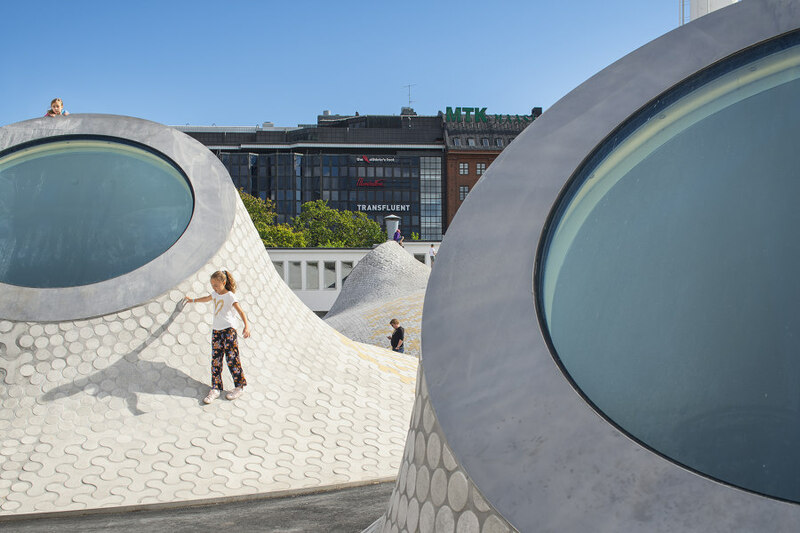 Previously a parking lot, the location is surrounded by a diverse set of buildings, the architects have used shipping pallets to create an undulating landscape that invites the public to occupy the space and interact with each other. 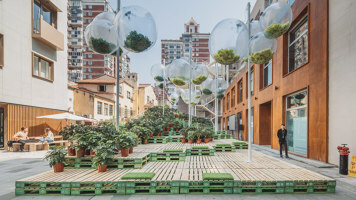 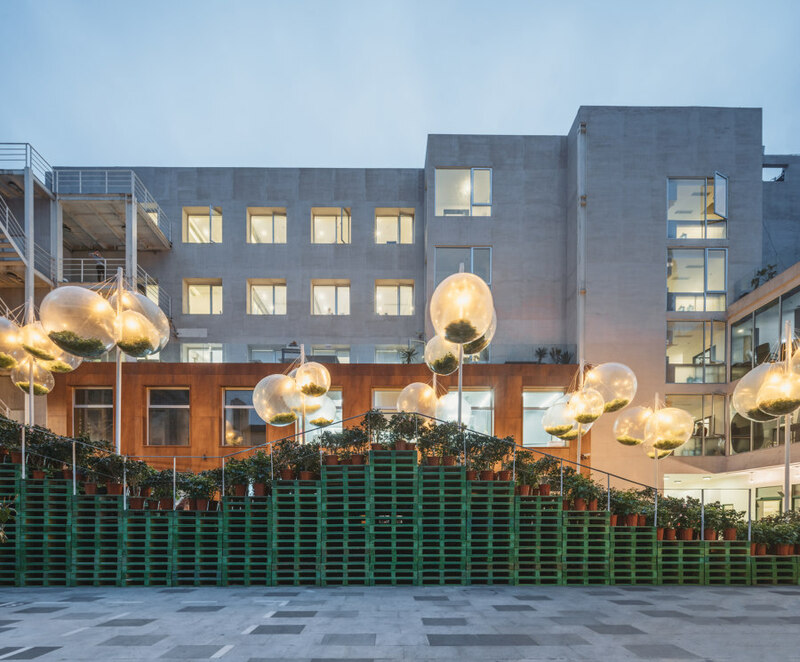 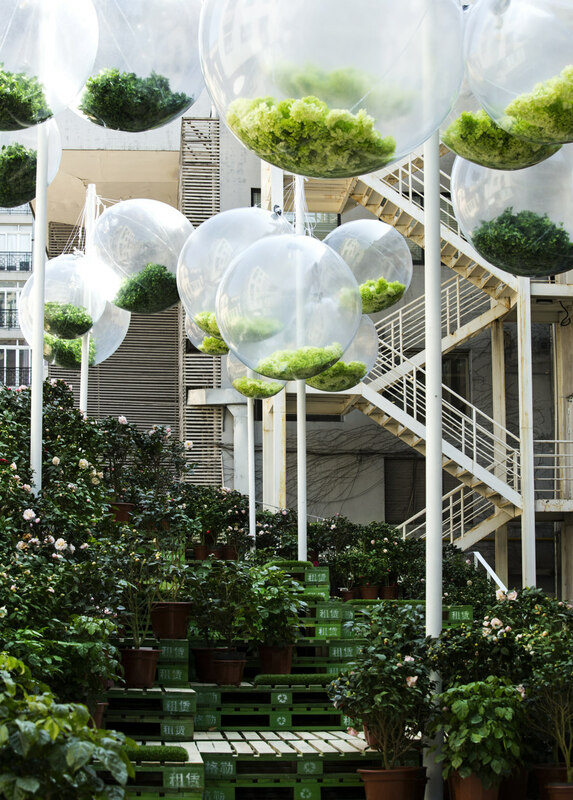 Potted plants provide much needed urban greenery, while balloon-like spheres, suspended from masts hold additional foliage, emphasising the three-dimensional nature of this public space. 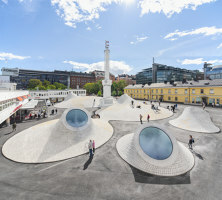 Sharing some formal similarities with the above Urban Bloom project, the public space above the Amos Rex museum in Helsinki is nevertheless permanent. 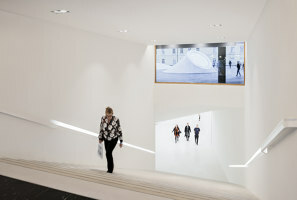 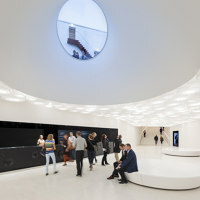 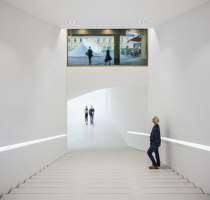 Designed by JKMM Architects, the art museum is set within a former modernist cinema, with additional exhibition spaces excavated under the adjacent Lasipalatsi Square. 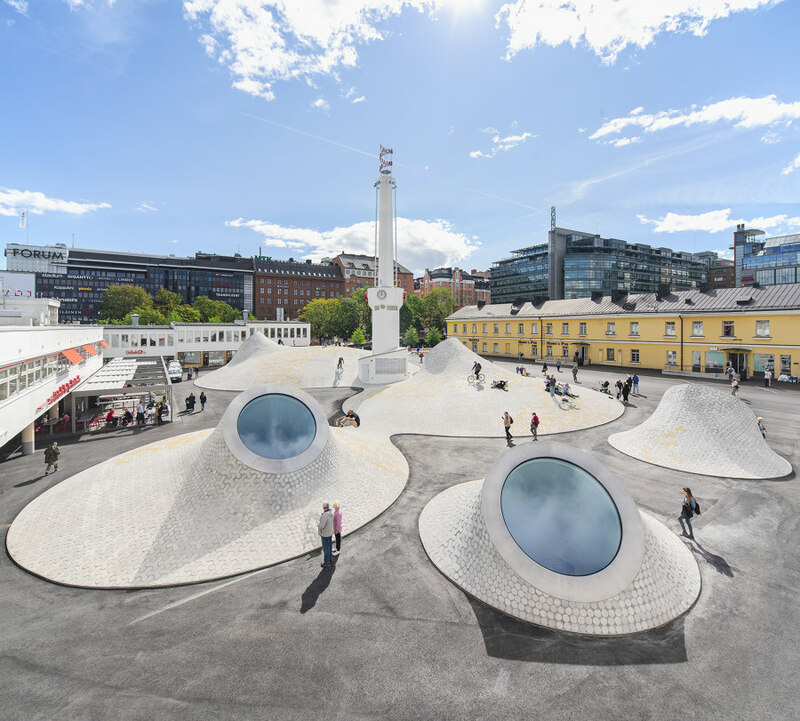 The museum's skylights protrude through the square, creating an abstract topography that recalls the rolling hills of Helsinki's many parks. 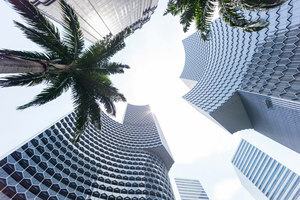 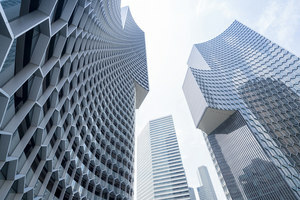 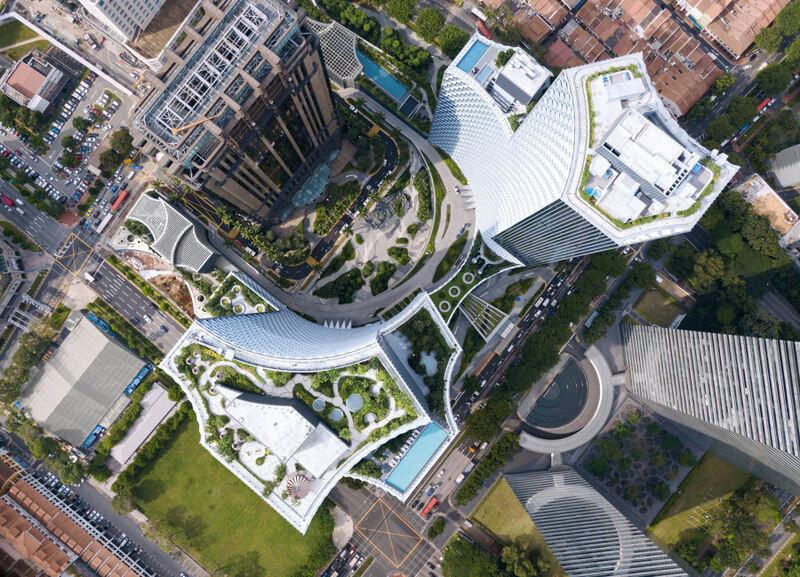 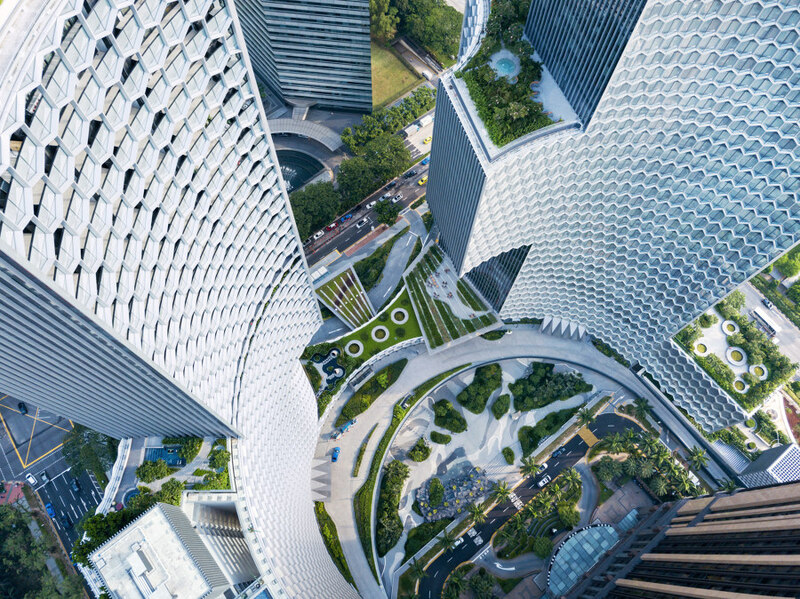 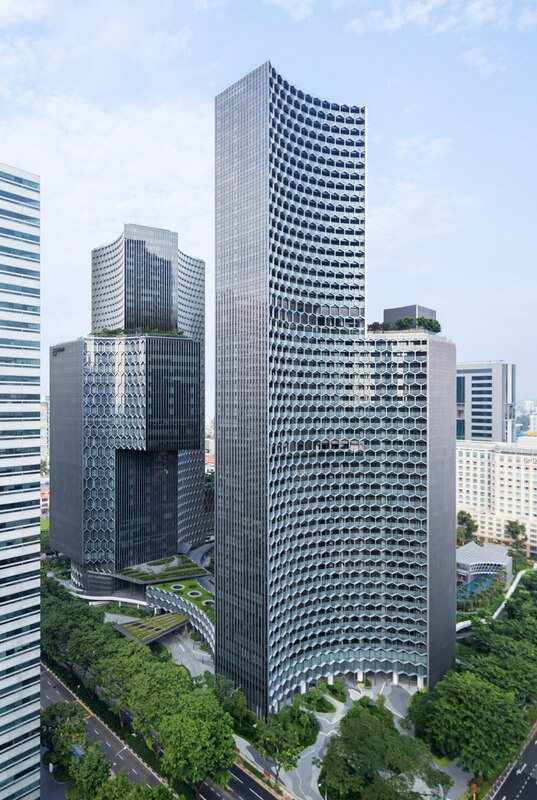 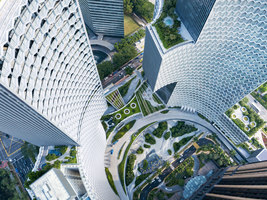 A different approach still is demonstrated by Buro Ole Scheeren's design of the public space that wraps around the DUO Twin Towers in Singapore. 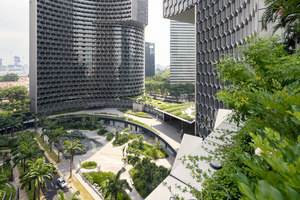 Here, the plaza, with its lush tropical vegetation, serves as a connecting element between the city and the towers. Meandering paths lead through the ground floor retail and hospitality complex, and a wide, pedestrian ramp provides access to a green terrace on top of the DUO's plinth. But innovative public spaces are not only found in the world's most expensive cities. 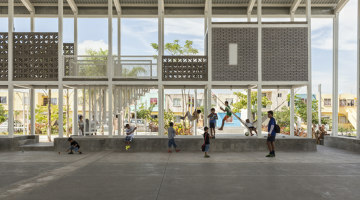 Located near a public housing block in Veracruz, Mexico, Rozana Montiel Estudio de Arquitectura designed the Court, a multi-purpose playground for local children and adults alike. 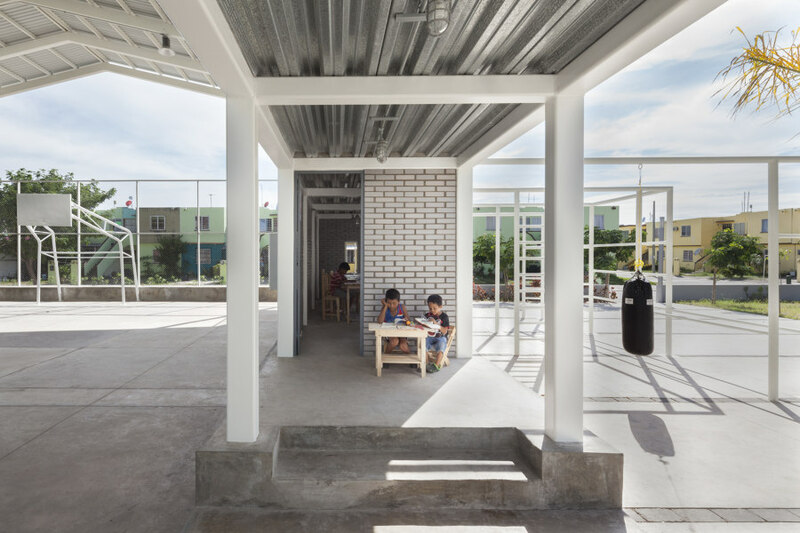 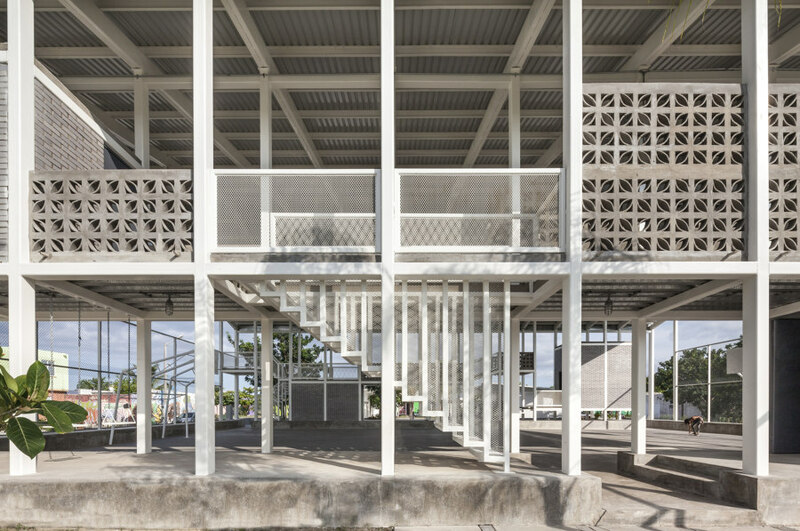 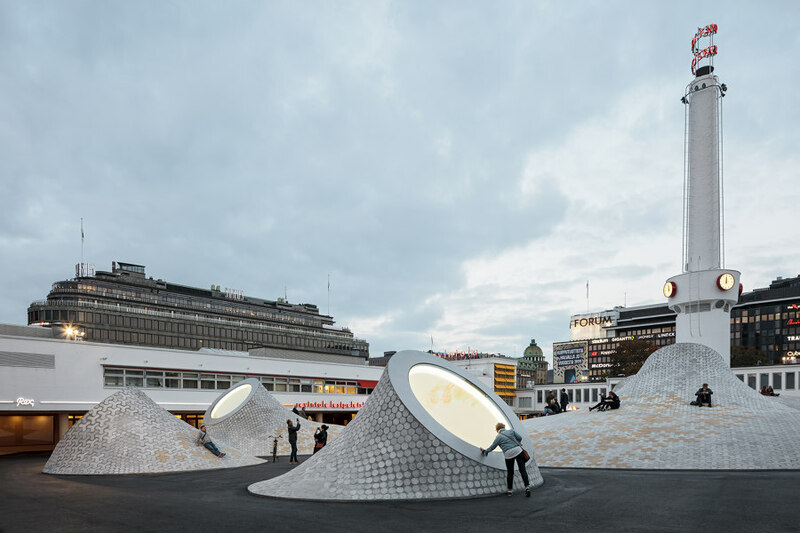 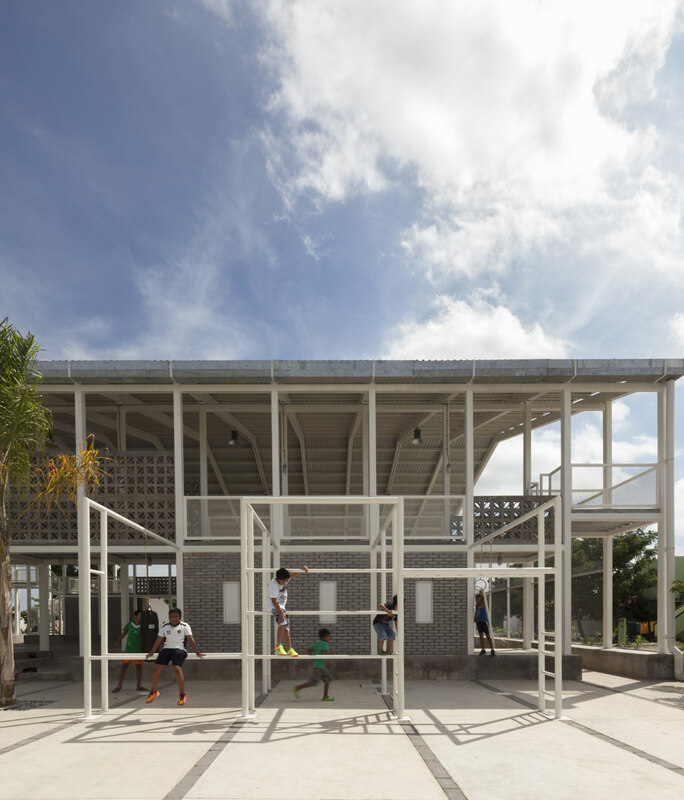 To keep out the scorching sun and tropical downpours, the architects have designed an open, shed-like structure that shelters a basketball court, a skate park and picnic area. 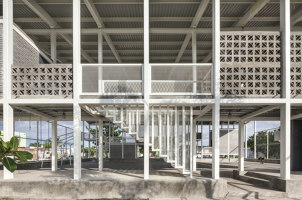 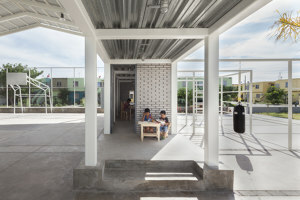 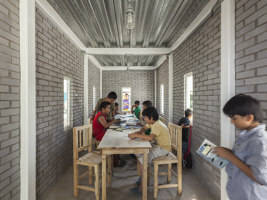 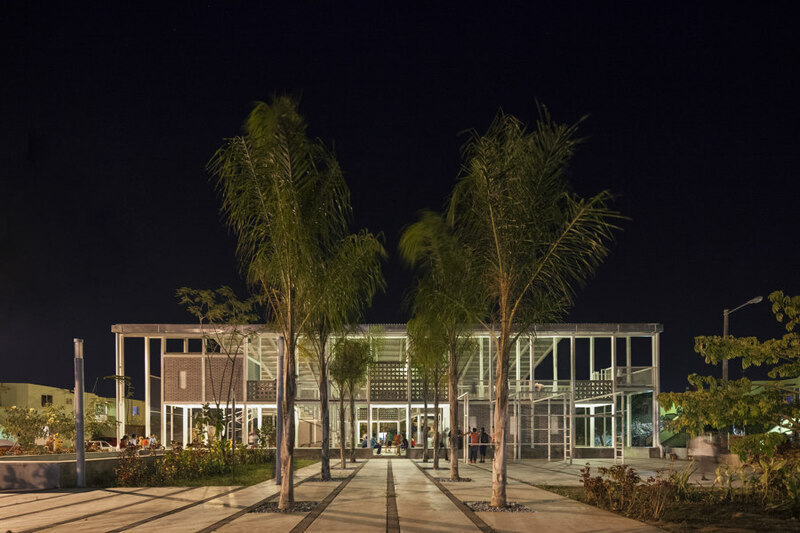 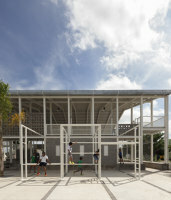 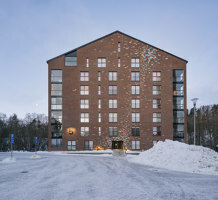 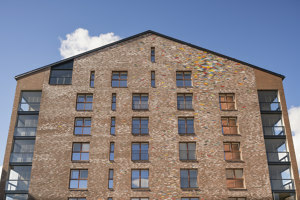 The lattice-like structure that supports the building also contains a number of rooms for communal activities, as well as balconies for spectators and hammocks for relaxation.